In this article, I’m going to tell you how to combine different WordPress plugins to create the perfect WooCommerce wholesale order form (WooCommerce bulk order form). If you run a WooCommerce wholesale or role-based store, your customers need to see the correct products and prices for their wholesale status or user role. Wholesale customers also benefit from a tabular view of all the products available to them. The WooCommerce Product Table plugin creates a table view of your products. It’s ideal when combined with a Wholesale or Role Based Pricing or WooCommerce protection plugin. You can use product tables whether you have a full store for WooCommerce wholesale ordering, or catalog mode with ordering disabled. First, I’ll tell you more about why WooCommerce Product Table is perfect for creating wholesale order forms. Then, I’ll talk you through a range of pricing and WooCommerce protection plugins. These will let you hide your wholesale area from public view and ensure that trade users see the correct pricing for them. Build a wholesale order form in your WooCommerce store now! WooCommerce Product Table will take all the products from your WooCommerce store and display them in a tabular format. It’s the perfect format for a WooCommerce wholesale ordering form plugin. You can choose which columns are displayed in the order form. 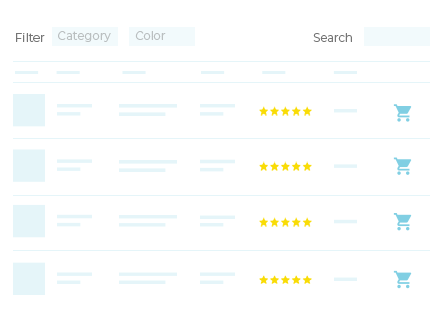 You can even add filters based on categories, tags, variations etc. The knowledge base will help you experiment with all the available options. If your WooCommerce store is in catalog mode then you might want to hide the “Add to Cart” button instead of using it as a wholesale order form. This can easily be achieved by removing the field add to cart field from the product table, or by installing a WooCommerce catalog mode plugin. What’s great is that customers can select multiple products from the WooCommerce wholesale order form and click “Add Selected to cart“. This is a handy feature for wholesale buyers, most of whom will be making a bulk purchase and want to buy quickly. Install and activate WooCommerce Product Table. Go to the plugin settings page (WooCommerce -> Settings -> Settings -> Products -> Product Tables) and enter your license key. Scroll down the page and choose the settings for your wholesale order forms. Add the [product_table] shortcode to the page (either listing all your products, or specific products only). Use these instructions and sample template file to automatically show the wholesale product table throughout your store, e.g. on the shop and category pages. PolBazar24 is a Polish food wholesaler. Their website has a WooCommerce wholesale order form powered by our WooCommerce Product Table plugin. Every wholesale product is listed in the easy to use table along with a small image. Customers can quickly read a short product description and find out the stock number, its weight and price. There’s even a handy stock level indicator to let customers know if the product is in stock. And if it is in stock, customers just input the quantity needed and click add to cart. It works well for PolBazar24’s customers as everything can be done from the single WooCommerce bulk order form and there’s no flitting between pages to place their order. Carry on reading to find out how to create your own WooCommerce bulk order form. Yarn Gate also used WooCommerce Product Table to build their wholesale order form. They went a step further, and enhanced it with some extra plugins. They used the WooCommerce Quick View Pro plugin to add ‘Select color’ buttons to the table. When logged in wholesale customers click on these buttons, they can click on a photo to choose a color variation, and add it to the cart. The variation photos are created using the WooCommerce Variation Swatches and Photos plugin. This is a perfect example of how you can add extra features to your WooCommerce wholesale order form. How can I hide my WooCommerce wholesale order form from public view? Do you need a completely private wholesale store, with no public products? If so, then you need WooCommerce Private Store. This handy plugin makes all your WooCommerce content (shop page, products, categories, etc.) private and hidden. Jump to setup instructions. 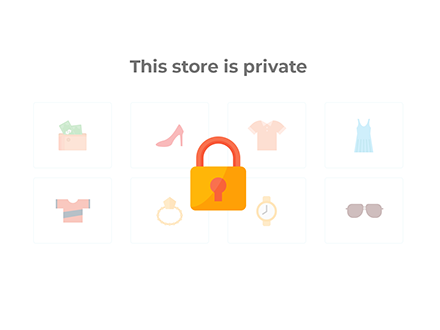 WooCommerce Protected Categories – This easy-to-use plugin lets you create 1 or more hidden wholesale categories, separate from the public areas of your store. You will add separate products to the public and wholesale areas, each with their own pricing. Jump to setup instructions. WooCommerce Catalog Mode, Wholesale & Role Based Pricing – This plugin uses a different approach to hiding your wholesale area. You have the same products for public and wholesale users, but each customer is charged a different price based on their user role. Jump to setup instructions. and don’t need to sell to the public at all. It’s incredibly easy to set up and hides everything relating to WooCommerce including the main shop page, product pages, categories, customer account page, cart and checkout. Your main public pages (home, about, contact, etc.) remain visible to everyone. This wholesale protection plugin offers 2 ways for trade users to access your hidden store. They can either enter a simple password to enter the wholesale store, or they can log into their user account on your website. You can choose which of these options to use. Create a private WooCommerce wholesale store in less than 2 minutes. Get the plugin and install it in the usual way. Go to WooCommerce -> Settings -> Private Store. Enter your license key and use the settings to choose how your private store will work. Hit ‘Save’ and hey presto, you have made your entire WooCommerce store private! To create a wholesale order form for your private wholesale store, you’ll also need to get WooCommerce Product Table, set it up using the instructions in this tutorial, and add it to the template file in your theme. Once you’ve done this, the WooCommerce wholesale order form layout will be used throughout your private store. The WooCommerce Protected Categories plugin is perfect if you want to create separate public and private areas of your store, each with its own products and pricing. It’s also useful if you don’t want to create a separate user account for each customer, or edit WordPress user roles. Buy the plugin and install it. Go to WooCommerce -> Settings -> Products > Protected categories. Enter your license key and select how your protected categories will work. Create a wholesale login form by adding the shortcode [category_login] anywhere on your site. Head to Products > Categories, create your wholesale category and either password protect it or restrict it to specific users or roles. If you need sub-categories too, just add them as children of the main wholesale category and leave them set to ‘Public’. They’ll automatically inherit the same type of protection as the parent category. Finally, you need to create a wholesale order form. 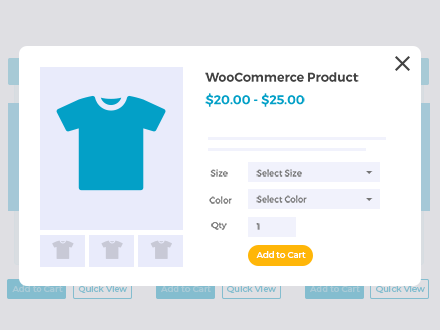 To do this, get WooCommerce Product Table, set it up using the instructions in this tutorial, and add it to the template file in your theme. Please note that step 5 will add the order form layout throughout your store. 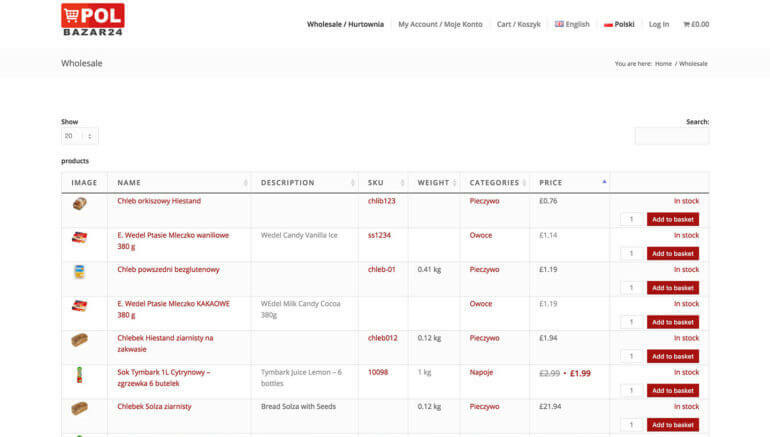 If you want to use product tables in your wholesale categories but not your public store, then you’ll need to write some custom code to change the layout depending on the category. This is a developer-level task. If you don’t know how to do it then I recommend posting a job on Codeable to find a suitable WordPress expert. 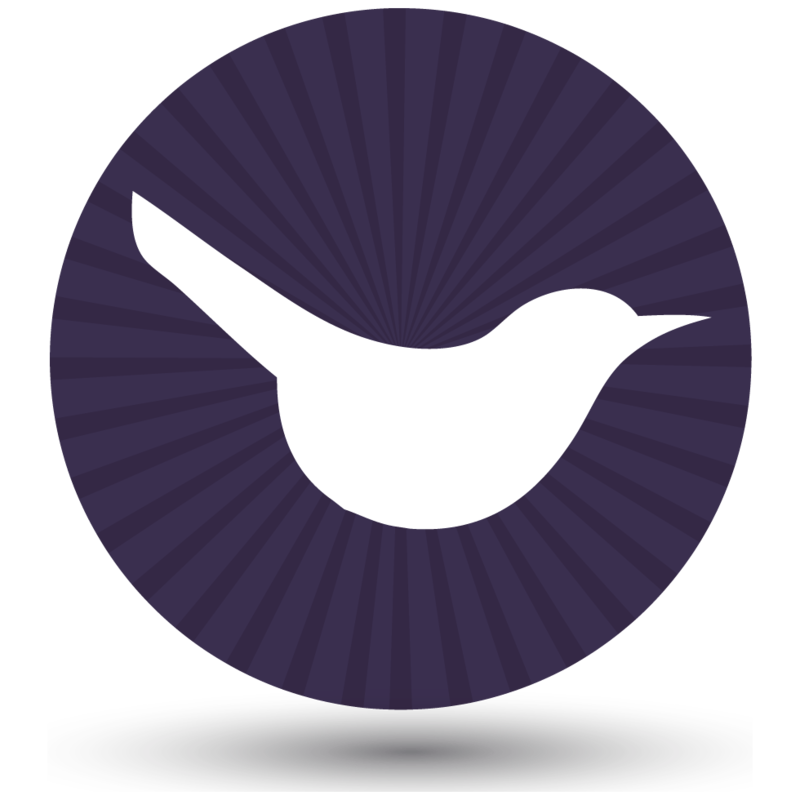 Get WooCommerce Quick View Pro and install and activate it on your WordPress site. Add your license key to the plugin settings page at WooCommerce -> Settings -> Products -> Quick view. Use the settings on this page to control the content of your wholesale quick view lightboxes. If you wish to to add a quick view column to the table, add quick-view to the list of columns. If you want people to be able to open the lightbox by clicking on a product name, click the ‘Replace all links to product page with quick view’ option near the bottom of the page. If you want the image column to open the quick view too, then you will need to disable the image lightbox option further up the page. Add Quick View lightboxes to your wholesale order form. By now, you’ve learned how to set up an effective WooCommerce bulk order form with restricted access for B2B users. That has taken care of the ordering process. Before we close, it’s worth mentioning some other ways to grow your B2B sales. For example, use email marketing in a way that will appeal specifically to B2B customers. This will convert them from one-time buyers to regular wholesale customers. And as everyone knows, it’s cheaper to retain and existing customer than to recruit a new one – so this is a cost-effective way to bring them back to your wholesale order form over and over again. Let us know in the comments how you use the WooCommerce wholesale ordering plugins in this tutorial. Do you use them for a WooCommerce bulk order form or in catalog mode? I’d love to hear from you.